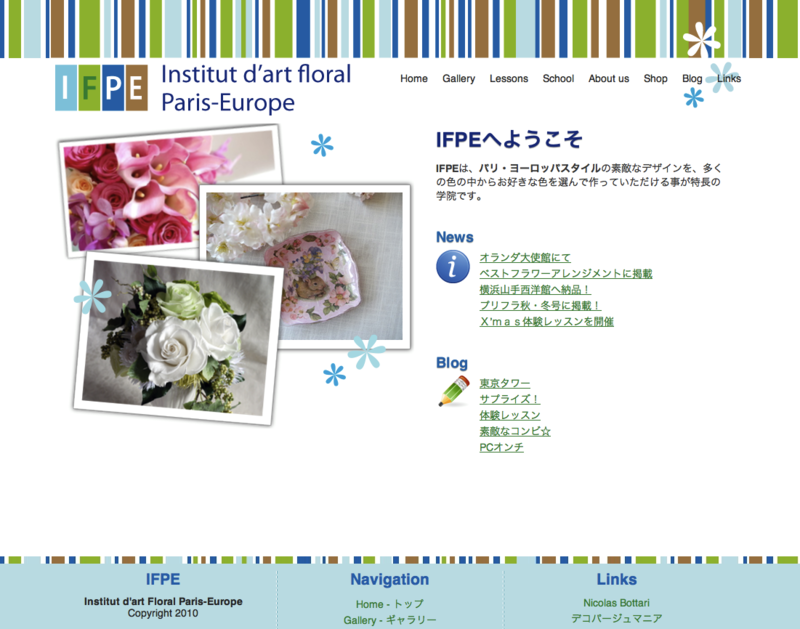 L'Institut d'art Floral Paris-Europe (IFPE) is a website specializing in floral decoration as well as decoupage, a decoration technique using decorative paper. In addition to an image gallery displaying past works, the site contains a news section for the latest events happening at IFPE, as well as a personal blog. The previous site was difficult to manage for regular users and was showing its age, with a lack in design consistency and SEO optimization. Ease of use and simple but good design were the main goals. The project was conducted with friendly communication and training, with particular attention to using the content management system (CMS) for easily updating the blog, gallery, and other sections of the site.